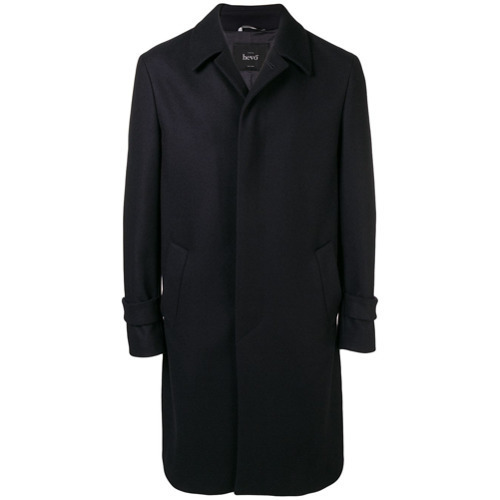 Serve people a head-turning look in a Hevo Cisternino Coat and a navy three piece suit. As you can see, looking casually elegant doesn't take that much effort. Just reach for a Hevo Cisternino Coat and white jeans and be sure you'll look amazing. 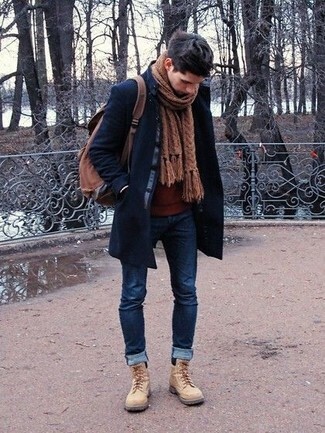 Black leather casual boots are a welcome complement to this look. 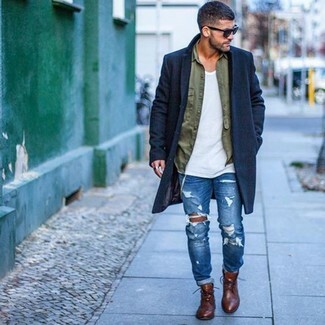 Reach for a Hevo Cisternino Coat and navy skinny jeans for a stylish, relaxed look. 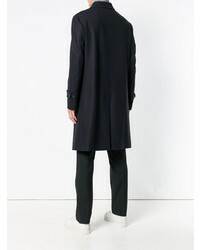 Let your sartorial sensibilities truly shine by complementing this getup with a pair of beige suede casual boots. 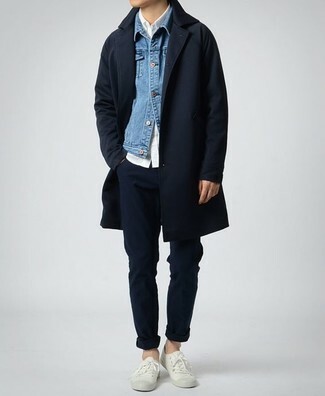 Fashionable and comfortable, this casual combination of a Hevo Cisternino Coat from farfetch.com and blue ripped skinny jeans will provide you with a multitude of styling possibilities. 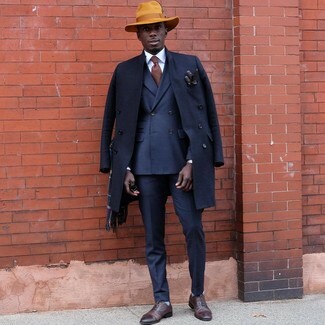 If you wish to effortlesslly step up this ensemble with shoes, add a pair of brown leather brogue boots to your look. This combo of a Hevo navy overcoat and charcoal camouflage cargo pants is truly sharp and provides a clean and neat look. A pair of black leather casual boots will tie the whole thing together. 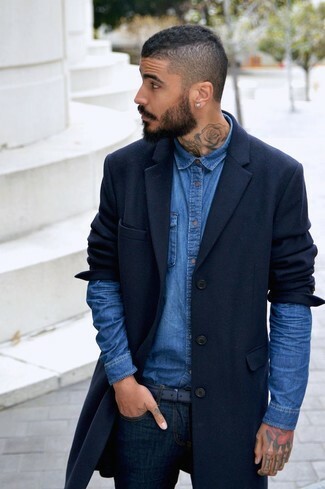 This is definitive proof that a Hevo Cisternino Coat and navy skinny jeans look awesome when teamed together in an off-duty outfit. 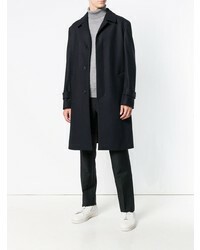 Combining a Hevo Cisternino Coat from farfetch.com and navy chinos is a surefire way to infuse your current routine with some relaxed elegance. For a more laid-back aesthetic, why not add white low top sneakers to your look? 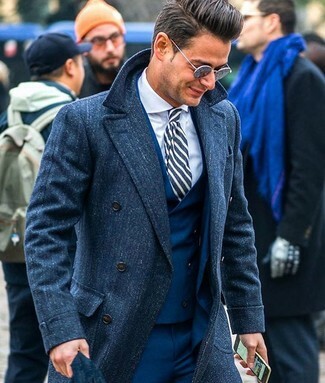 A Hevo navy overcoat and navy dress pants are a sophisticated outfit that every stylish guy should have in his collection. Brown leather oxford shoes are a stylish complement to your look. 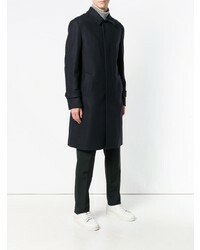 A Hevo navy overcoat and black skinny jeans are a nice pairing to add to your current fashion mix. 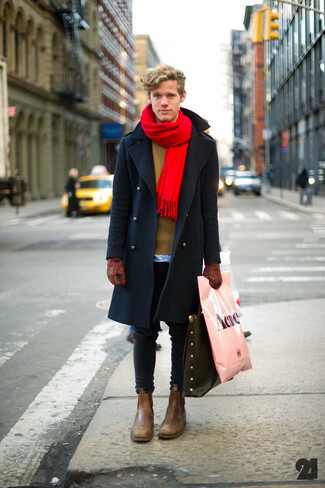 Complete this look with brown leather chelsea boots to instantly turn up the style factor of your look.